This question repeatedly comes up: How do I post an image in a Hyperscale message? Here's how to do it. This assumes you have a Photobucket account. Open a new message in Hyperscale. 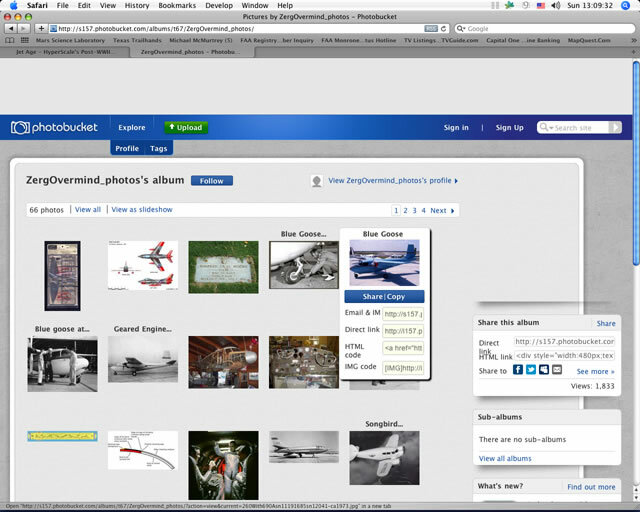 Open a new tab in your browser and in that tab, open your Photobucket album. Next to each of these options you'll see a window with some code or a URL in it. Position your cursor in the window adjacent to the "Direct link" label - the code inside starts with 'http' - and click in it. You should see the Direct link replaced with "Copied." Now return to your Hyperscale post. Position your cursor where you want the image to go and use the "Paste" command (control-v or apple/command-v) to paste the code you just copied. Repeat as necessary if you have more than one image. I hope this helps. Once you get the hang of it, it's easy.